The Ministry of Corporate Affairs vide its notification dated 15th December, 2016 has notified NCLT (Procedure for reduction of share capital of company) Rules, 2016 under the section 66 of the Companies Act, 2013. These rules shall come into force on the date of their publication in the Official Gazette. 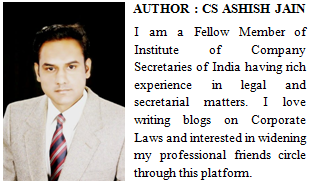 (1) These rules may be called the National Company Law Tribunal (Procedure for reduction of share capital of Company) Rules, 2016. 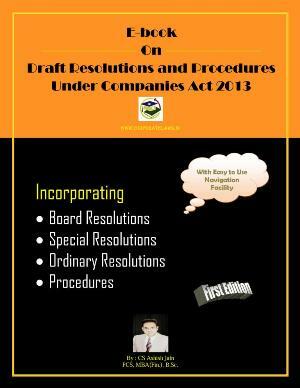 (3) The words and expressions used in these rules but not defined and defined in the Companies Act, 2013 (hereinafter referred to as the Act) or in the Companies (Specification of Definitions Details) Rules, 2014 or the National Company Law Tribunal Rules, 2016 shall have the meanings respectively assigned to them in the Act or the said rules. (1) An application to the Tribunal to confirm a reduction of share capital of a company shall be in Form No. RSC-1 and fee shall be, as prescribed in the Schedule of fee to these rules. (3) Copies of the list of creditors shall be kept at the registered office of the company and any person desirous of inspecting the same may, at any time during the ordinary hours of business, inspect and take extracts from the same on payment of the sum or rupees fifty for inspection and for taking extracts on payment of the sum of rupees ten per page to the Company. (2) The notice under clause (iii) of sub-rule (1) shall be sent, within seven days of the direction given under that sub-rule or such other period as may be directed by the Tribunal, to each creditor whose name is entered in the list of creditors submitted by the company about the presentation of the application and of the said list, stating the amount of the proposed reduction of share capital and the amount or estimated value or the debt or the contingent debt or claim or both for which such creditor’s name is entered in the said list, and the time within which the creditor may send his representations and objections. (3) The Tribunal shall along with directions under sub-rule (1) give directions for the notice to be published, in Form No. RSC-4 within seven days from the date on which the directions are given, in English language in a leading English newspaper and in a leading vernacular language newspaper, both having wide circulation in the State in which the registered office of the company is situated, or such newspapers as may be directed by the Tribunal and for uploading on the website of the company (if any) seeking objections from the creditors and intimating about the date or hearing. Provided that the objections, if any, shall be filed in the Tribunal within three months from the date of publication of the notice with a copy served on the company. (5) The company or the person who was directed to issue notices and the publication in the newspaper under this rule shall, as soon as may be, but not later than seven days from the date of issue of such notices, file an affidavit in Form No. RSC-5 confirming the despatch and publication of the notice. (6) Where the Tribunal is satisfied that the debt or claim of every creditor has been discharged or determined or has been secured or his consent is obtained, it may dispense with the requirement of giving of notice to creditors or publication of notice under this rule or both. If the authorities or the creditors of the company referred to in clause (i), clause (ii) and clause (iii) of sub-rule (1) of rule 3 desire to make any representation under sub-section (2) of section 66, the same shall be sent to the Tribunal within a period of three months from the date of receipt or notice and copy of such representation shall simultaneously be sent to the company and in case no representation has been received within the said period by the Tribunal it shall be presumed that they have no objection to the reduction. (2) The Tribunal may give such directions as it may think fit with respect to holding of any enquiry or adjudication or claims or for hearing the objection or otherwise. (3) At the hearing of the application, the Tribunal may, if it thinks fit, give such directions as may deem proper with reference to securing the debts or claims of creditors who do not consent to the proposed reduction, and the further hearing of the petition may be adjourned to enable the company to comply with such directions. (1) Where the Tribunal makes an order confirming a reduction, the order confirming the reduction and approving the minute may include such directions or terms and conditions as the Tribunal deems fit . (2) The order confirming the reduction of share capital and approving the minute shall be in Form No. RSC-6 on such terms and conditions as may be deemed fit. (3) The Certificate issued by the Registrar under sub-section (5) of section 66 shall be in Form No. RSC-7.